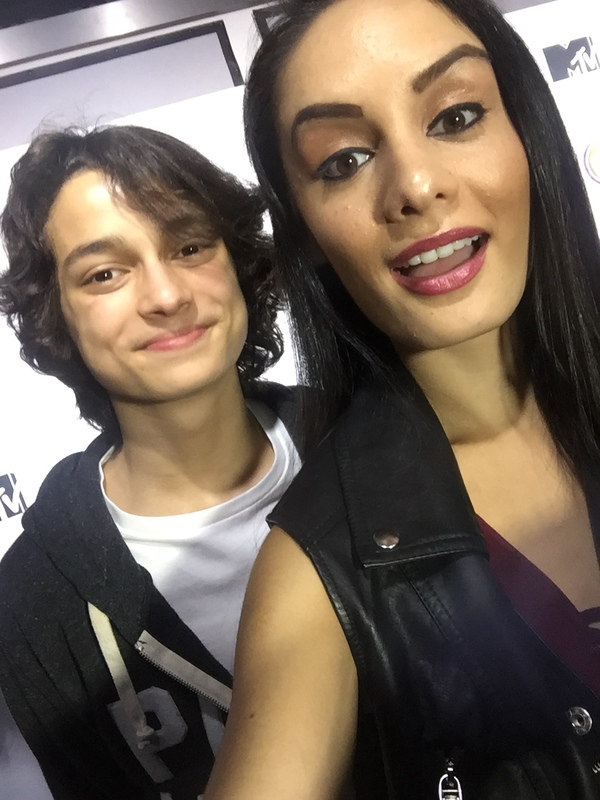 VIPAccessEXCLUSIVE: The Phenomenal Rio Mangini Interview With Alexisjoyvipaccess At MTV’s “Teen Wolf” Premiere Party! MTV gave us all a special treat when the first eight minutes of the first episode from this season of “Teen Wolf” was released, and it already had a whole lot of mysteries, excitement, and nail-biting moments. The full episode, which just recently aired, basically started off with a new character named, Alex, who frantically asked for help from Liam and Hayden. The intriguing character, who much of the first episode from season six of “Teen Wolf” was about, is played by the immensely talented and extraordinary actor, Rio Mangini. Rio Mangini always brings his incredible and awe-inspiring talent to every project that he works on. Whether it’s playing the role of a school reporter in Nickelodeon’s hit TV show, “Bella and The Bulldogs,” or entering in the dojo in Disney X D’s show, “Kickin’ It,” and now, having fans at the edge of their seats with his fascinating character in MTV’s iconic show, “Teen Wolf,” Rio Mangini is absolutely stupendous and continues to show how much of a versatile and gifted actor he is. As he takes on the character of Alex in the show, we’re left wanting to find out more about the highly-feared villains known as the Ghost Riders that are focused upon greatly in this sixth and final season. Rio Mangini always leaves us speechless with how he portrays each character so effortlessly and he is one of the most remarkable actors on this planet. I, Alexisjoyvipaccess had the greatest honor of covering MTV’s outstanding “Teen Wolf” and “Sweet / Vicious” premiere party and had a terrific time interviewing the exceptional Rio Mangini at the event. Rio Mangini dished exclusively to Alexisjoyvipaccess all about what it is like for him to have joined the “Teen Wolf” cast, who is another character he would have liked to portray on the show other than his own, and since this season of “Teen Wolf” includes a lot of different time periods, Rio Mangini talks about which time period he would have liked his character to time-travel back to only in our VIPAccessEXCLUSIVE updated interview. Since a big part of this season are the Ghost Riders, Rio Mangini spills on which character he would like to see the Ghost Riders wipe the memory of – hear what he had to say in our VIPAccessEXCLUSIVE updated interview below. Thanks for another fun interview, Rio – always a blast chatting with you! Previous VIPAccessEXCLUSIVE: Jennifer Kaytin Robinson Interview With Alexisjoyvipaccess At MTV’s “Sweet / Vicious” Premiere Party! Next VIPAccessEXCLUSIVE: The Amazing Pete Ploszek Interview With Alexisjoyvipaccess At MTV’s “Teen Wolf” Premiere Party!